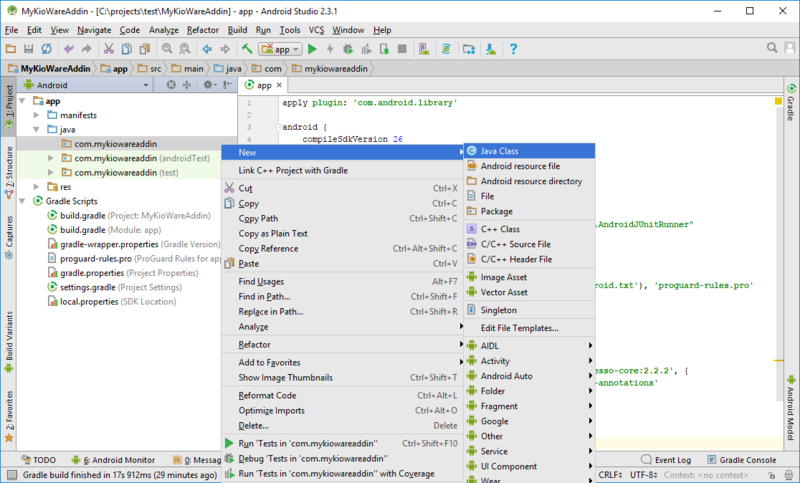 Before you get started, you will need to have Android Studio installed. 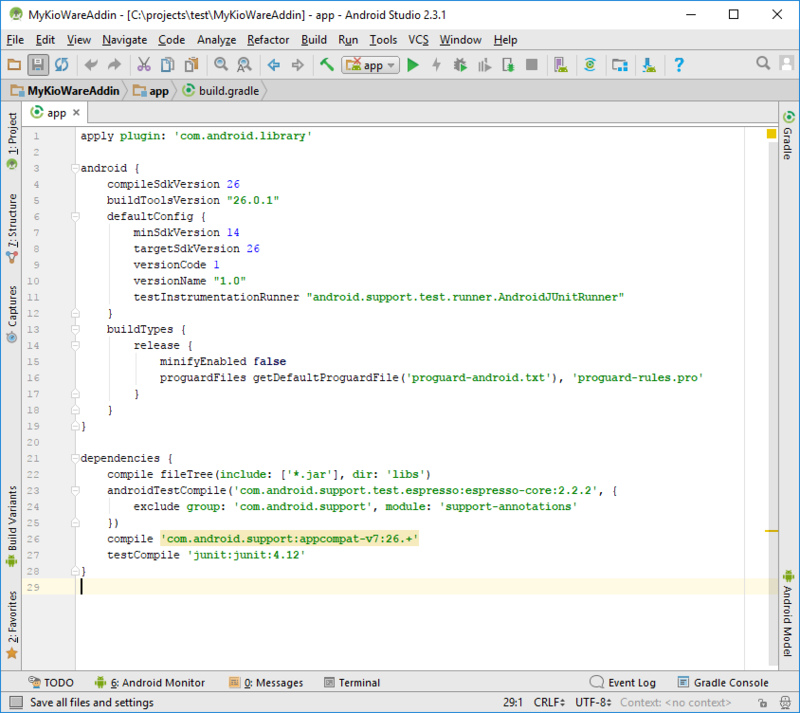 Start Android Studio and create a new project. We will name the new project "MyKioWareAddin". 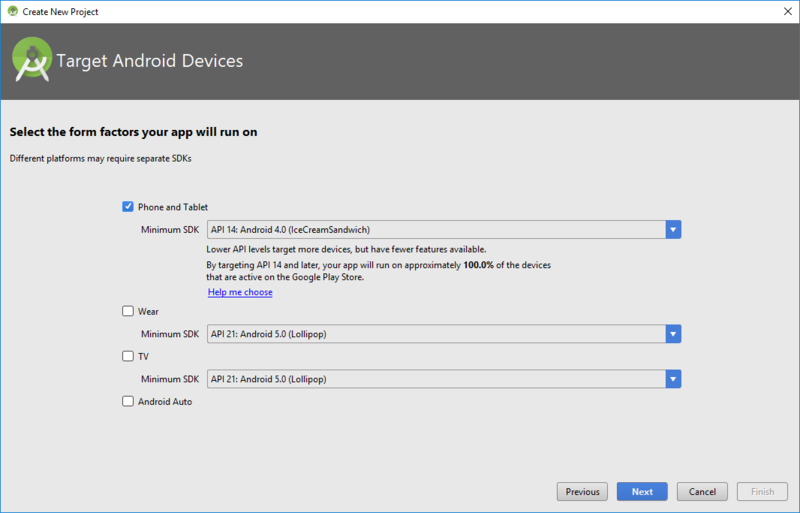 Choose "Phone and Tablet" with a minimum SDK of 14 from the following screen. 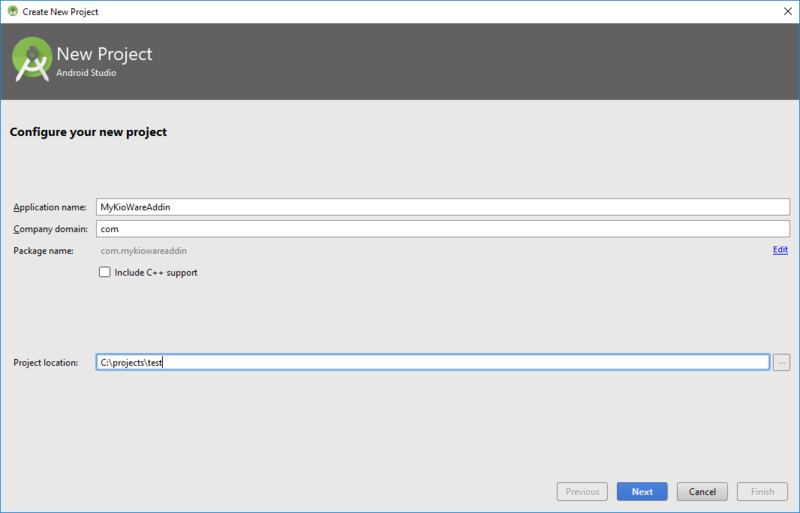 Select "No Activity" and click "Finish" to create the project. The next step is to include the KioWare addin library as a dependency for the new project. Copy the kiowareaddinlib.jar file to your project's libs folder located at C:\projects\test\MyKioWareAddin\app\libs. Replace projects\test with the path to the MyKioWareAddin directory. Next we will create a new Java class called "Main". Right click on "com.mykiowareaddin" and create a new Java class. Copy the code below into the Main class. 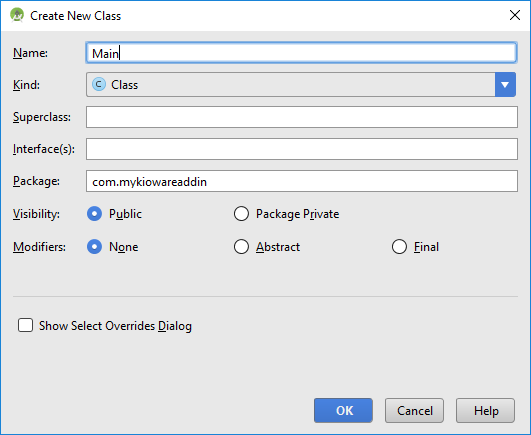 The Main class implements the IKioWareAddin and IKioWareSessionEvents interfaces. It uses the setKioWareHost() method to get a reference to the KioWare host and sets this host back to null when the addin is destroyed. For each of the session events, a message is logged to the Android console. In the onLoad() method, the KioWare host is used to show a toast message. 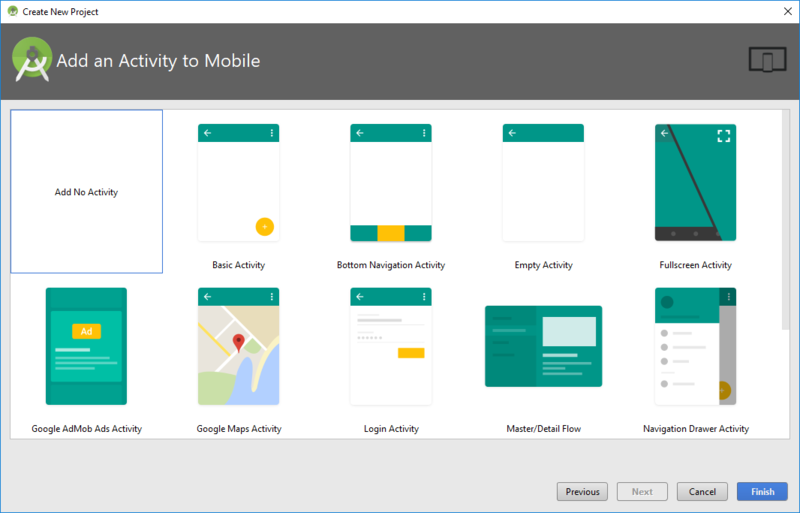 This will create a file called mykiowareaddin.dex within the C:\projects\test\MyKioWareAddin\app\build\intermediates\bundles\debug folder. 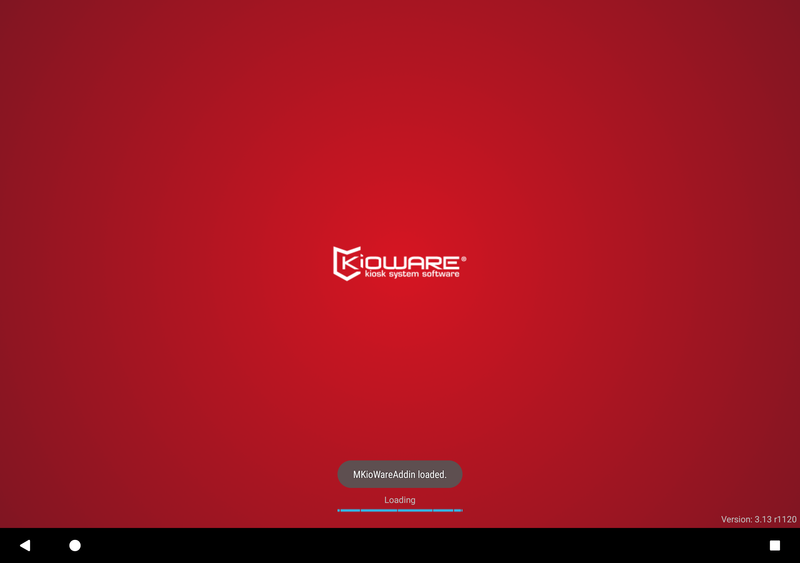 Transfer this file to an Android device with KioWare installed. Save the file under /sdcard/Android/data/com.adsi.kioware.client.mobile.app/Addins. 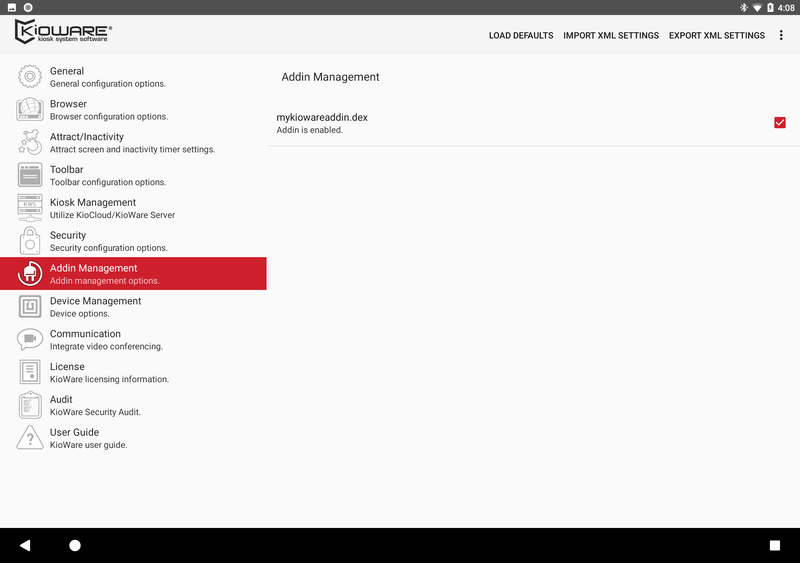 Then enter the KioWare Config app and select the "Addin Management" tab. Click the checkbox next to the addin to enable it. The next time you launch KioWare, a toast message should appear when the addin has been loaded.